at Asta Care Center, Bloomington. Rousey and many nieces and nephews. Marion Eugene Rousey and Donald Wayne Rousey. Scott and Audrey Rousey along with Audrey’s brother Gary True, his wife Mindy and children Courtney and Conner stopped by the old homeplace riding four wheelers on Labor Day. Check out more pictures in the people gallery. 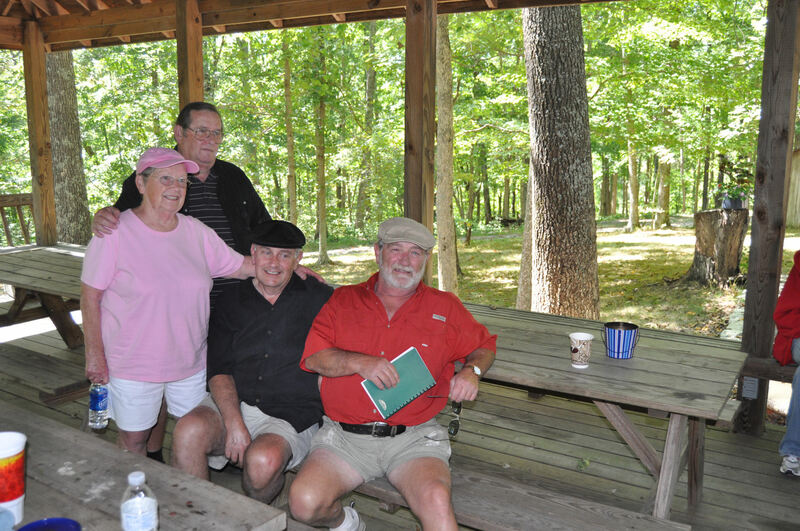 Sherwood Rousey was in Kentucky for his class reunion during Labor Day weekend. 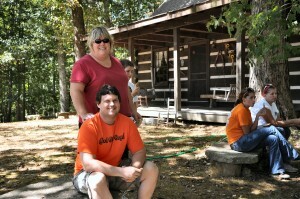 It was a great opportunity for other family members to get together with him and Pat at the Old Homeplace. There was food, hiking and lots of good conversation on an absolutely beautiful day. Check out the pictures in the People Gallery. Birth of a daughter to Kyle and Jill Mason of Murfreesboro, TN, on April 16. She weighed 7 lbs. 14 oz. and measured 21 inches. Proud grandparents are Bill and Brenda Fox and great-grandmother, Nina Rousey Hatter, and Don and Rena Warren of Danville. Noah Blayton Cross announces the arrival of his baby sister, Londyn Aubrie Cross. Londyn was born at 5:12 p.m. Sunday, May 10, 2009 (Mother’s Day) at Fort Logan Hospital, Stanford, Kentucky. She weighed in at 6 lbs. 10.7 oz. and was 18 1/4 inches long. She is the daughter of Chris and Mehgan Keck Cross; granddaughter of Kelly and Tina Rousey Parker; and great-granddaughter of Ann Naylor Rousey and the late Palmer Lee Rousey. Camden Lucas Berry was born Thursday July 16th at 9:36am at Cox Hospital. He was 21.5 inches, and a whopping 8 lbs. 15 oz. at birth. Camden is the son of Chad Fonzo Berry, grandson of Douglas Loyd Berry, great-grandson of Margaret Rousey Berry. We saw the name Camden on the Rousey family tree and loved it!